Although we are away from home right now, we are doing our best to still recognize the important rituals in life… like Halloween! We picked up a pumpkin to carve at the Legacy Ranch in St. George and spent the morning of Halloween carving it in our campground on the picnic table. It was half Frankenstein (to match his face painting from Legacy Ranch) and half Pirate (carved out as this is what we do every year at home). 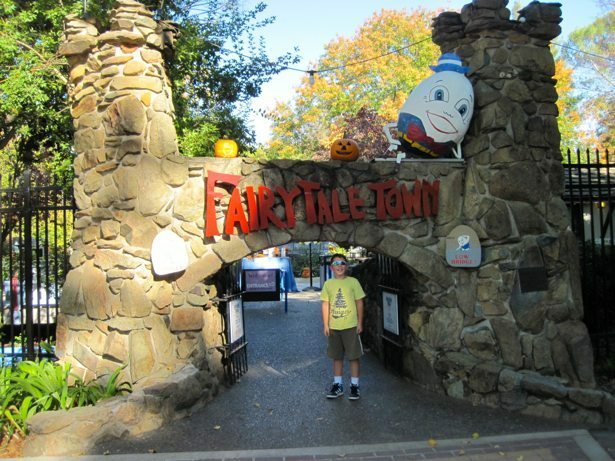 We headed into Sacramento mid afternoon to check out Fairytaletown and then head over to the Sacramento Zoo for Boo at the Zoo. It was a beautiful fall day with temps around 23c and the two sites are right next to each other so it was really convenient. Fairytaletown is all about creating a space to imagine, play and learn for kids. We were near the top end of the age bracket but still had fun. It would be perfect for 4-8 year old kids. There are over 20 “attractions” to stop at and you can buy a key to insert into each stop and it will tell you a story and sing you a song. For the 3 of us and the key, total admission was $16.00 so it’s quite a bargain! Boo at the Zoo was a new experience for us and it was great fun. The Sacramento Zoo was all decorated up for Halloween and the front half of the zoo had 22 different booths that you stopped at. Some had games to play and some just gave out candy. There were also magic shows and Zoo staff showing off spooky animals. Our favourites for the night were Pumpkin Bowling, Raptor House and the train ride where Hunter saw a snow lion. 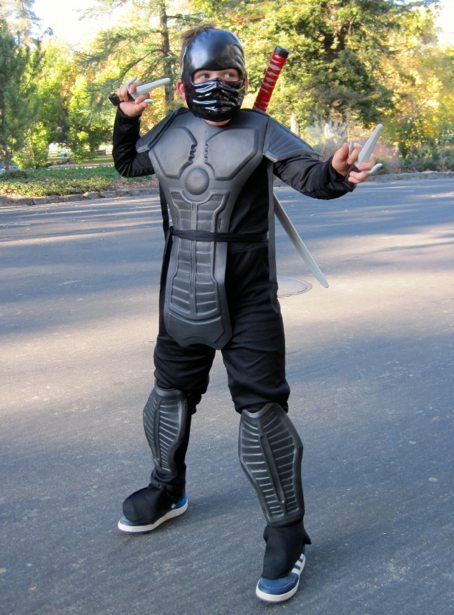 Now that was a great costume. Too bad Hunter could not have done battle with the dragons he looked ready.